AllegroMedical.com presents The Comfort Audio Contego FM HD Communication System Transmitter. Comfort Contego is a digital, secure FM HD communication system for hearing aid users with a t-coil or users with hearing loss using a headset. It uses coded radio transmission that makes it virtually impossible to intercept a conversation. 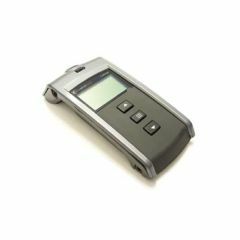 The Comfort Contego transmitter has a built-in microphone that is adjustable for maximum customization of sound. Set the microphone to omnidirectional or directional based on conditions. Volume can be remotely adjusted.